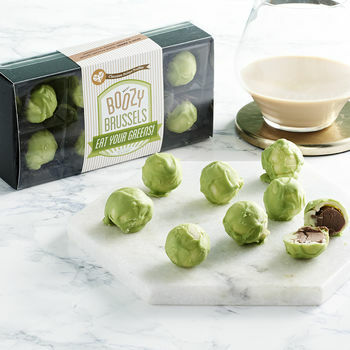 These chocolate brussel sprouts have raided the drinks cabinet! 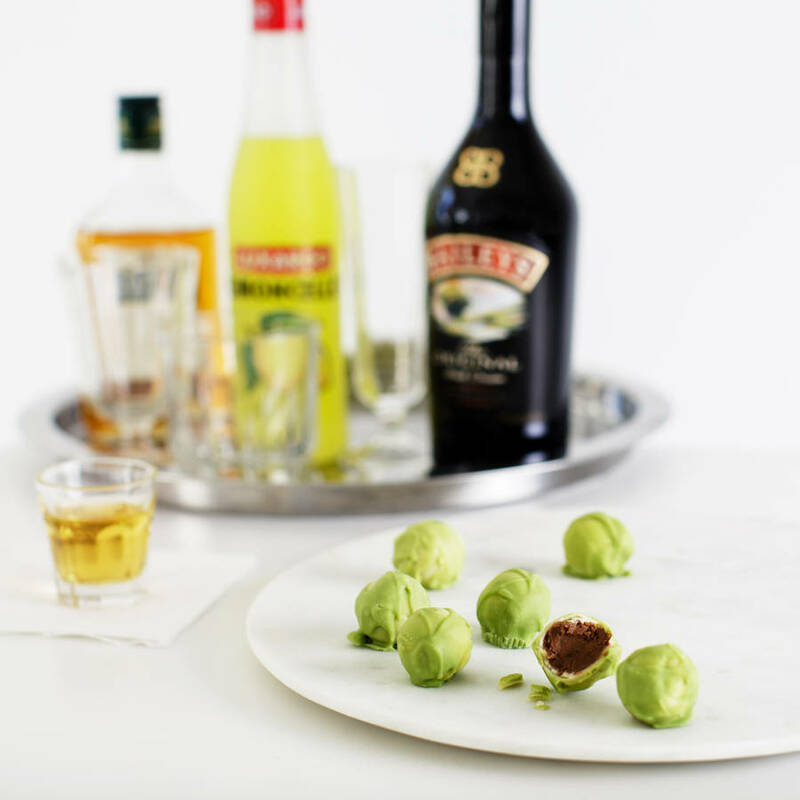 Handmade chocolate brussels sprouts with creamy truffle centres made using Christmas classic Baileys Irish Cream. 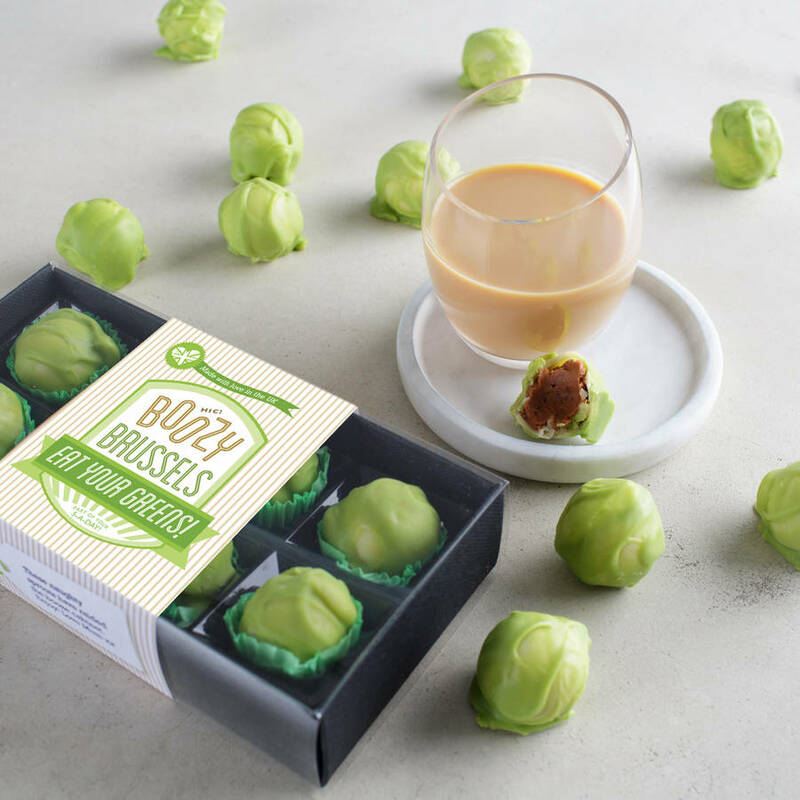 Made entirely from chocolate, each brussels sprout is encased in white chocolate with a milk chocolate ganache centre featuring Baileys Irish Cream. 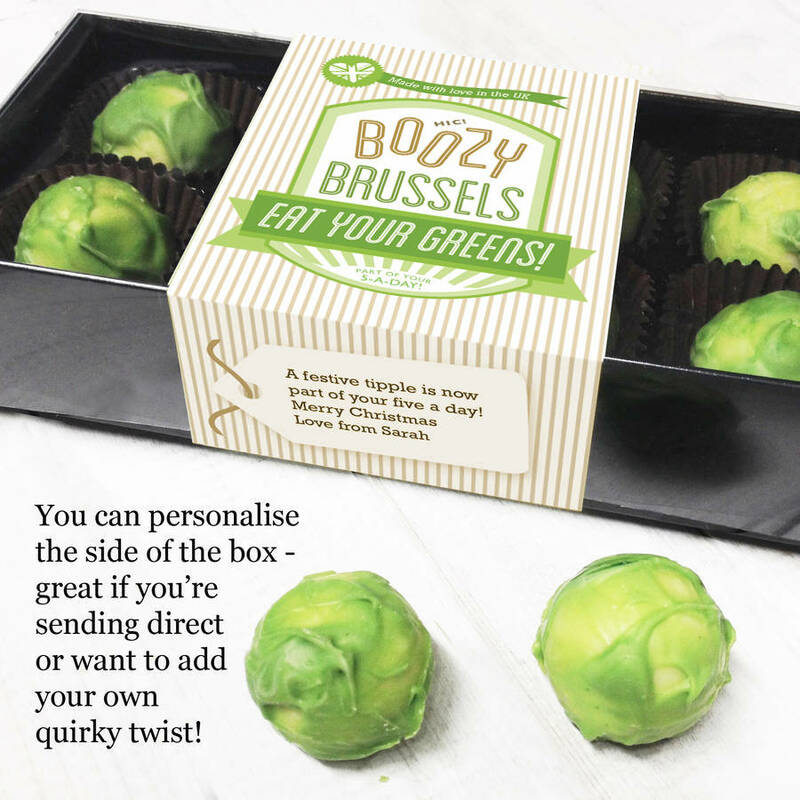 The chocolate sprouts box can be personalised - perfect if you are sending this directly to the recipient. 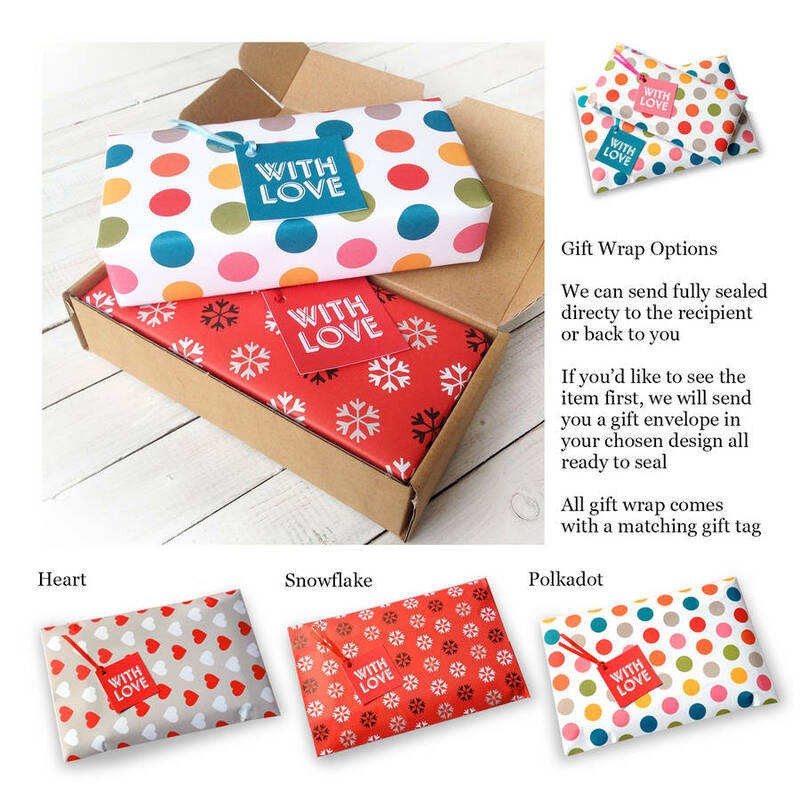 Remember to add who the gift is from if you are sending direct - and add their address at checkout! 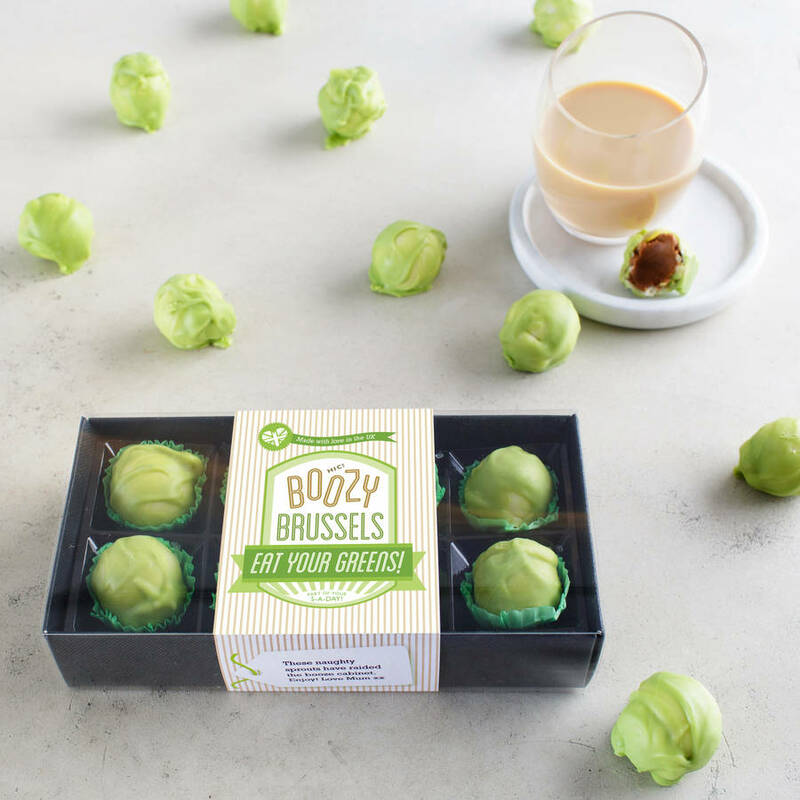 Ingredients: White chocolate: Sugar, Cocoa butter, Whole MILK powder, Emulsifier: SOY lecithin (E322), Natural vanilla flavouring. Green colouring (E142). Cocoa solids 28% minimum, Milk solids 25% min. Ganache filling: milk chocolate: Sugar, Whole MILK Powder, Cocoa Butter, Emulsifier: SOY lecithin (E322), Natural vanilla flavouring, Baileys liqueur.